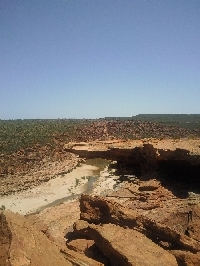 The river gorges of Kalbarri National Park are a popular touristic hot spot and known for its amazing lookouts and beautiful rock sculptures. Maybe one of the most photographed places would be Nature's Window, a spectacular rock arch at The Loop which frames an amazing view capturing the river and the valley below. To get to The Loop you need to prepare yourself and carry enough drinking water, some sandwiches, a full tank and a map or guide of the area. 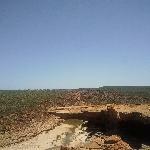 From town you can just follow Ajana Kalbarri Road untill you reach the Kalbarri National Park turn off. 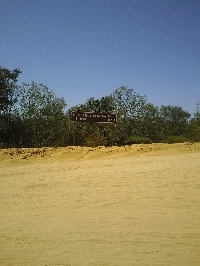 From here, after havin paid a small entrance fee, it's all dirt road and I wouldn't advise driving this route with anything else but a 4WD. We did spot some adventurous camper vans and small cars but the road is endless and not always in great conditions. 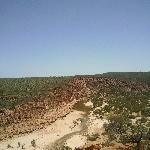 Calculating the extreme temperatures in the Kalbarri region, 30-40 degrees, it would become is really exhausting journey! 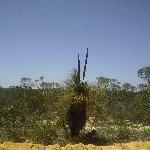 Do bring some insect repellent or a anti flies net which is worn like a hat, they also sell them in Uluru and look ridiculous but if you don't purchase them you'll spend the whole day waving tree branches and water bottles to keep away the insisting flies blocking your view. 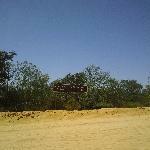 The road to The Loop,.. 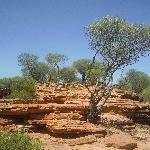 The Loop is a beautiful hike and eventhough it can be tyring to visit all the lookouts in the park, the panorama's are always stunning! You can park your car at the park and if you're lucky you even find a pic nic ground a some gorges like the one of Hawk's Head. 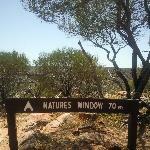 Nature's Window is a great place to make photos and if you're patient you will be able to make some great pictures. Wait your turn, pose in front of the window and that's going to be the best looking frame ever! 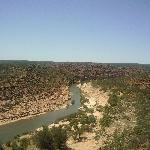 Did you enjoy Photos of The Loop and Nature's Window and have you been on a holiday in Kalbarri, Australia? 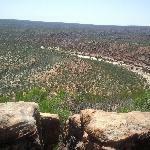 What to do in Kalbarri: Make sure to bring enough drinking water, nets againts the flies, insect repellent and don't forget to fuel up before you hit the road! 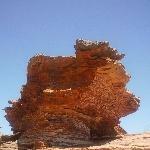 Where to eat in Kalbarri: Make some sandwiches to eat along the way, you won't find any eateries here! 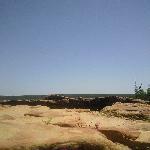 Liked: The beauty of the rock sculptures and the panorama's were stunning! 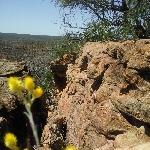 Disliked: The flies were terribile!